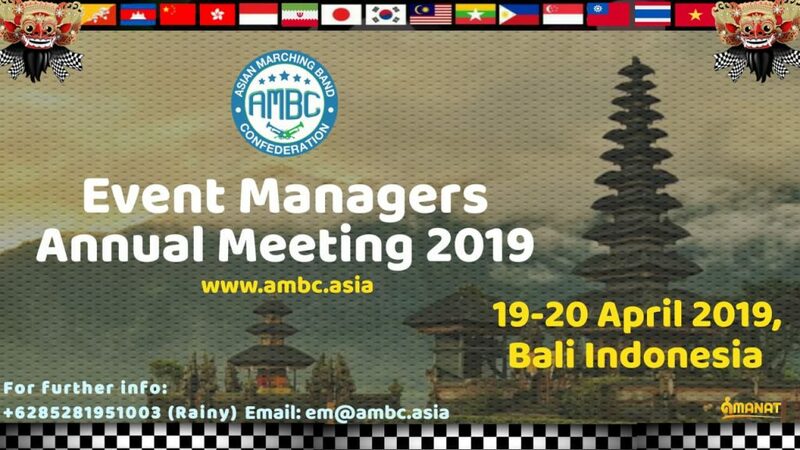 This workshop is intended for organizers of the drumband / marching band championships in Asia and is the annual meeting of event managers in Asia, both those who have collaborated with AMBC (Asian Marching Band Confederation) or those who have not. AMBC President Kosin Suebprasitwong and Event Director Sehat Kurniawan will be the speakers. Especially at this event, the latest AMBC online judging system software and event level announcements will be released. This event is a rare opportunity for organizers of the drumband / marching band championship who want to promote the event and learn how to manage the drumband & marching band championship from their experts.